Looking for a way to wow the love of your life? Come check out our huge Valentine’s Day Sale. 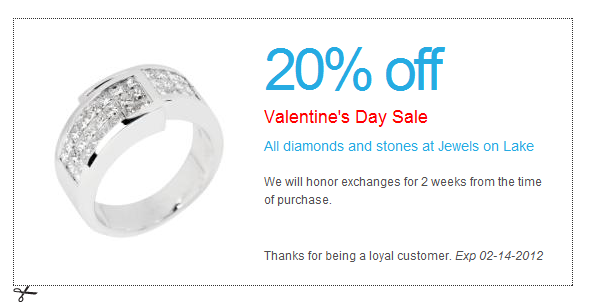 Print out coupon to the left and get 20% off all diamonds and stones.